DA slams Ndabeni-Abrahams for 'seeking to control the SABC' - SABC News - Breaking news, special reports, world, business, sport coverage of all South African current events. Africa's news leader. Ndabeni-Abrahams has issued a statement apologising for her conduct. The Democratic Alliance (DA) has condemned the actions of Communications minister, Stella Ndabeni-Abrahams following reports that she blocked journalists from covering protests at an African National Congress (ANC) election manifesto launch at the Badibanise stadium in KwaBhaca, formerly known as Mount Frere, in the Eastern Cape on Saturday. The manifesto proceedings were disrupted by singing demonstrators who are allegedly frustrated by a lack of service delivery in their area. Minster Ndabeni- Abrahams blocked an SABC crew from filming protesters. 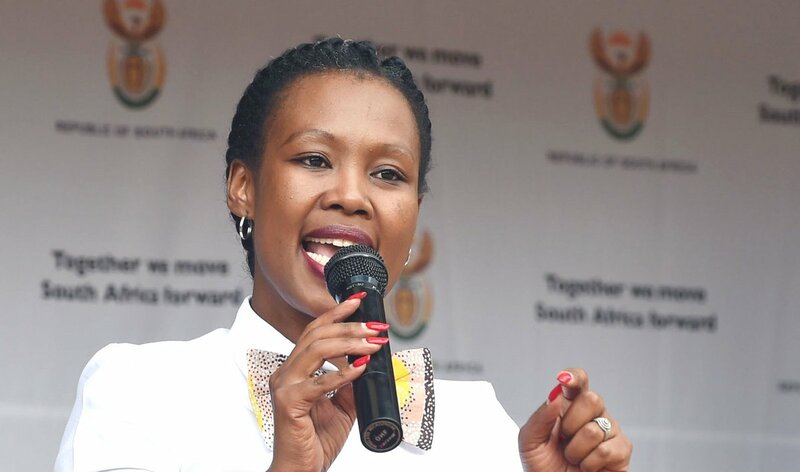 The DA’s Phumzile van Damme says they are not surprised by the reports that the Communications minister Stella Ndabeni-Abrahams sort to block the SABC from reporting at a ANC manifesto launch in the Eastern Cape. “Her actions are simply what the ANC has done before, and ministers before, came before her have done in seeking to control the SABC and make it an ANC mouth piece. We applaud the SABC for taking a stand and forcing its independence,” says van Damme. Meanwhile, Media Monitoring Africa executive director, William Bird, says President Cyril Ramaphosa needs to take appropriate action against Communications Minister Stella Ndabeni-Abrahams. However, Bird says that given that this is an election year the governing party has to earn back the trust of the media in terms of ensuring their freedom. This entry was posted on 10 Feb 2019,01:31PM at 1:31 PM and is filed under Politics, Homepage Latest Stories Slider. You can follow any responses to this entry through the RSS 2.0 feed. Both comments and pings are currently closed.